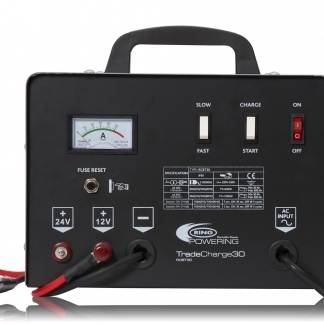 Professional 30A workshop charger with 150A jump starter. 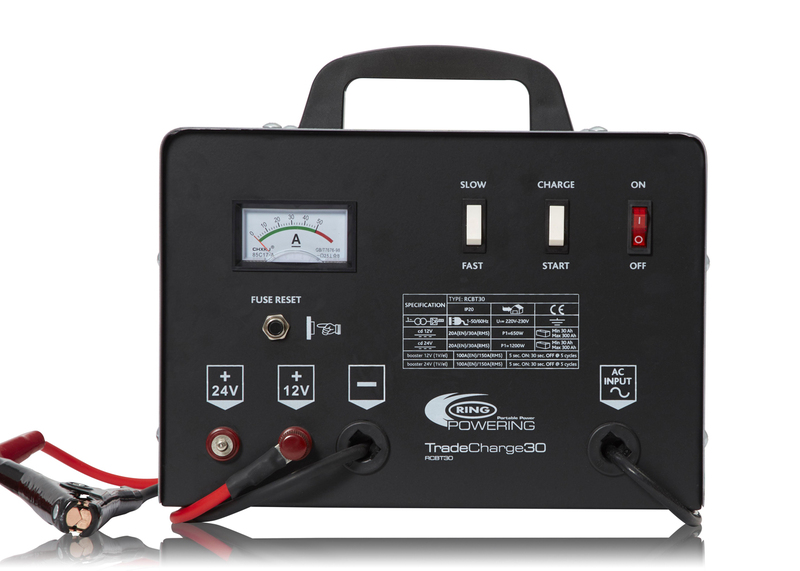 Suitable for 12V and 24V vehicles, ideal tool for a fleet of mixed vehicles including cars, LCV and HGVs. Includes selectable charging and jump start functions, so it can charge at different amp rates for a quicker recharge or, when needed, jump start a flat battery. Features analogue ammeter to show charge status. Rugged metal casing and transport handles are designed to withstand the robust working environment in a workshop. The fully insulated high capacity battery clamps improve user safety. 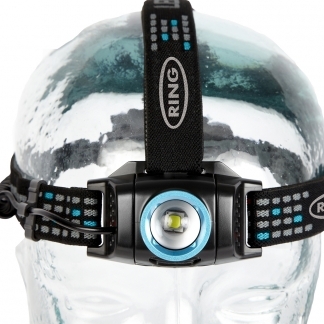 Includes thermal and overload protection. 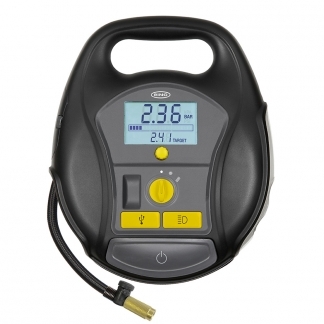 Suitable for intensive use in garages, workshops and commercial vehicle depots.